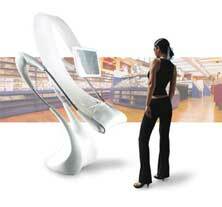 Kiosk solutions are becoming more and more a part of our every day lives. The small stand alone device that provides information and services is only a touch away. Imagine avoiding busy locations and long line ups only to receive an insurmountable level of customer service. Imagine running errands when it is convenient for you. Kiosk solutions are a gold mine for products that will earn you margin. Incorporating simple and interactive solutions will be your route to success.